Many wine aficionados dream of becoming winemakers, purveyors of grape and bottles of wine. 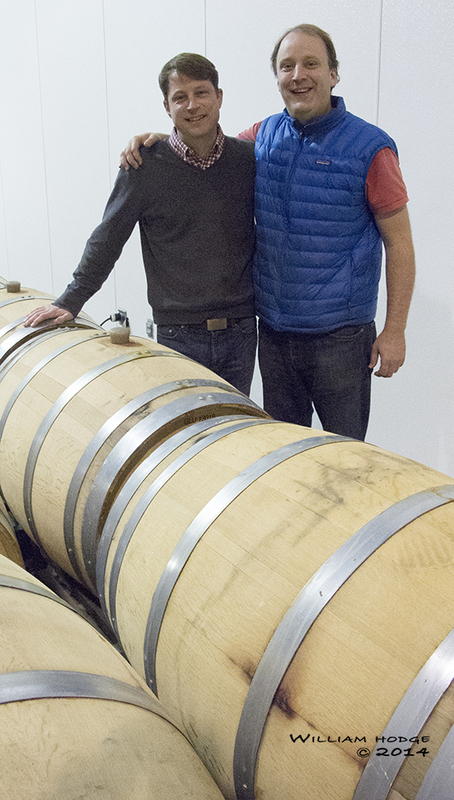 The Brothers Glunz have become just that, wine makers in Paso Robles. Brothers Steve and Matt, descendents of Chicago beer brewers, purchased the former Chumeia Vineyards with their 10 brothers & sisters, extending the family’s business from beer to wine, naming it Glunz Family Winery & Cellars. The folks at Tobin James recommended this winery, as Glunz is located immediately west of the Tobin James facility (east side of town on Highway 46.) There’s not a lot to it, a gravel parking lot, a small bar in their production facility. Lining the entry wall are many pictures of their great-grandfather (the patriarch of the brewery and distributor) as he grew up, including a photograph of him as a young barefoot boy in front of a horse-drawn wagon. The family also produces wine in Grayslake, Illinois. Brother Steve took us deep into their production facility to sample their reserve 2013 Cabernet Sauvignon from a barrel. It was a nice soft version. He also shared some of their barreled reserve Zinfandel, again tasty. They charge no tasting fee and staff the bar on their own. It’s well worth stopping here and tasting their bottles of wine. The true test of a purchased bottle of wine is how tastey it is at home, away from the winery. We enjoyed one of their bottles with dinner the other night and it was as good as we remembered. The Brothers Glunz have a long way to go, but with their beer distribution background we’ll bet they find success. When you see -✰/✰+ with a slash, it means our opinions differ.